Plaque is a film of bacteria that forms on your teeth and gums after eating foods that produce acids. These foods may include carbohydrates (starches and sugars), such as candy and cookies, and starchy foods such as bread, crackers, and cereal. Tooth decay, commonly known as cavities, occurs when plaque remains on your teeth for an extended period of time, allowing the bacteria to ‘eat away’ at the surfaces of your teeth and gums. Ironically, the areas surrounding restored portions of teeth (where fillings, or amalgams have been placed) are particularly vulnerable to decay and are a breeding ground for bacteria. Plaque can lead to gum irritation, soreness, and redness. Sometimes, your gums may begin to bleed as a result of plaque. This gradual degeneration can often cause gums to pull away from teeth. 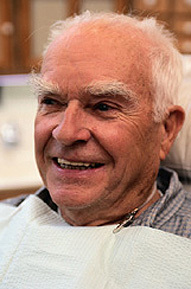 This condition is called receding gums. Long-term plaque can lead to serious problems. Sometimes, the bacteria can form pockets of disease around tooth structures, eventually destroying the bone beneath the tooth.